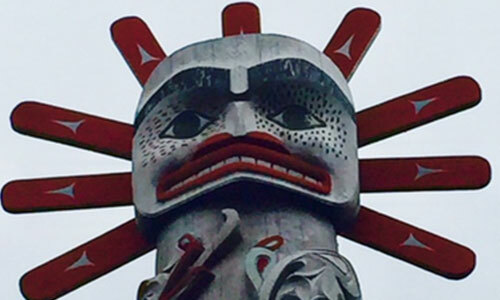 Guardian Watchmen are the women and men who carry forward the work of their ancestors in ensuring the sustainable and appropriate management of the natural and cultural resources of the North Pacific Coast of British Columbia. Guardian Watchmen gather data on the ecological health and wellbeing of their ancestral traditional territories, compile and share data to inform decision-making and ocean health understanding; play an active role in community outreach and education regarding the protection of cultural and natural resources; and work with the federal and provincial governments of British Columbia to ensure coordinated and robust monitoring and enforcement throughout their territories. This work is done in collaboration with The Marine Plan Partnership for the North Pacific Coast (MaPP) (http://mappocean.org/), a co-led process between 17 First Nations and the Government of the Province of British Columbia. Together they are developing and implementing plans to increase the benefits derived from ocean resources in a responsible way, while protecting and restoring critical ecosystems, economies, and social and cultural structures important to local inhabitants. MaPP is forging an unprecedented model of oceans governance with indigenous communities, in part by investing in developing and enhancing Guardian Watchmen programs in First Nations’ communities.